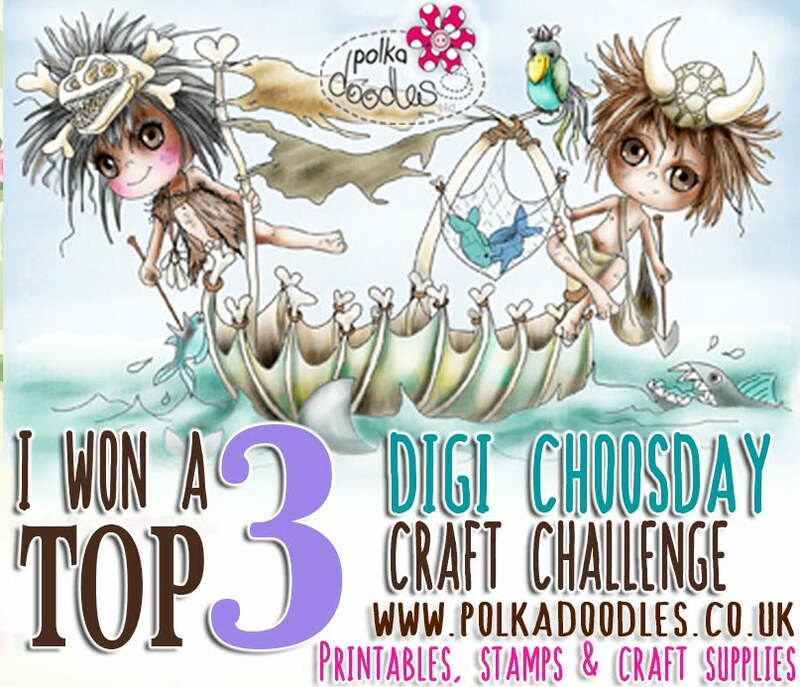 PRIZES: Random winner (chosen by Random.org) will receive 3 digi downloads of your choice from the store! 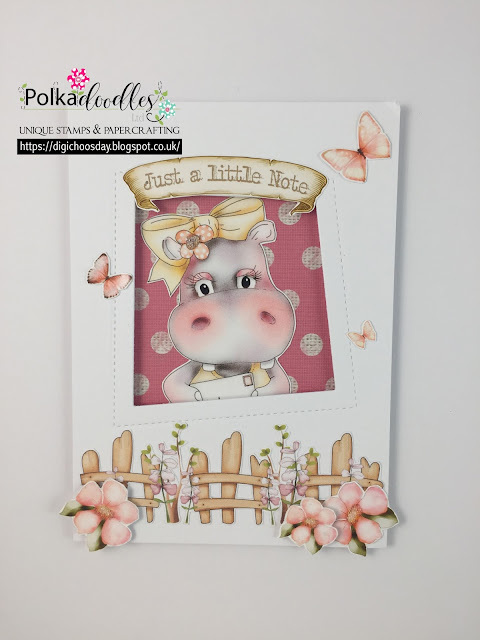 Yvonne - For this challenge I went for the Helga Collection again - you can find the whole collection here or this design sheet is available as a double here. 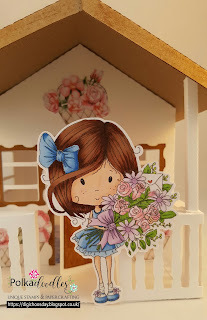 She's so cute, I went for one of the backing papers from the same collection, you can buy this bundle here if you just want the papers. 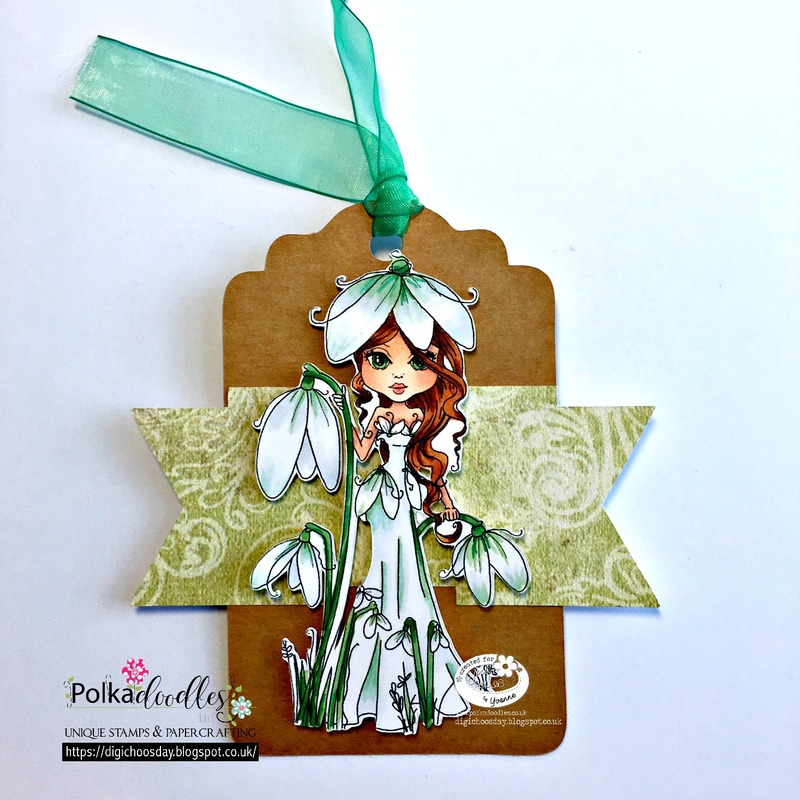 Jane P- Have had a bit of Spring fever this month with all the nice weather we have been having and thought about Starfish & Sandcastles design sheet #7. More details on my blog. 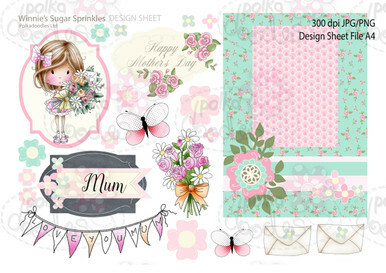 Julia - I have chosen I design Sheet from the Sticks and Bones collection which you can find here ... I love this collection, its really fun. 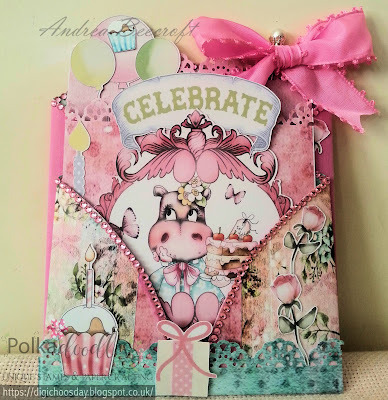 I did add a few extra bits and bobs from the embellishment section too. 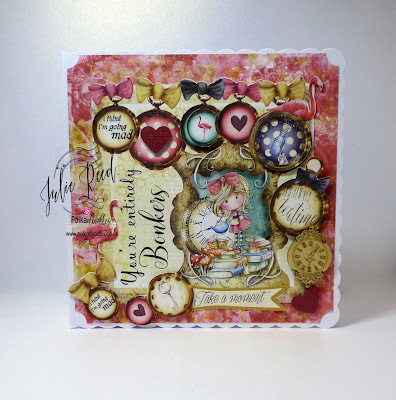 Jane S - I have made a card for one of my brother's using a design sheet from the amazing Belle Papillon Collection and the corner dies from the Ribbon/Gift Frame Set. 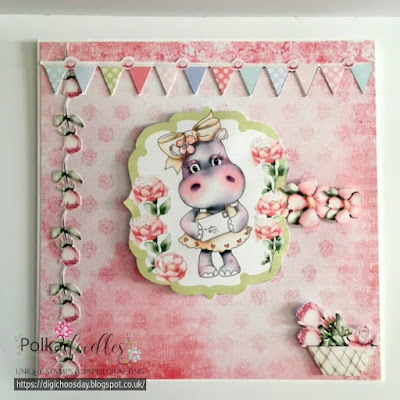 Melissa - I have made a card using a few design Sheets from the sweet Helga Hippo Collection. 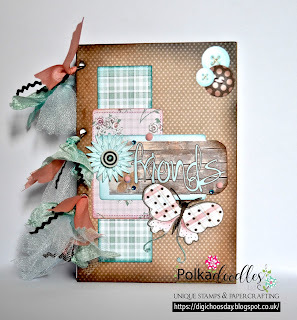 Monica - For this challenge, I made a pop up card with almost all the elements from Sticks & Bones Design Sheet 7. 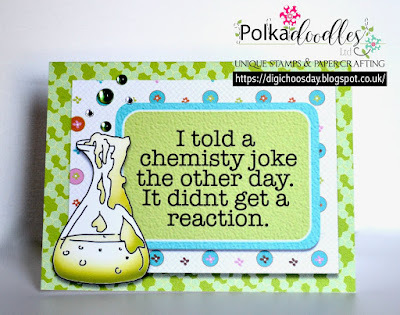 Katrina ~ This interactive spinner card is all about the Work & Play Design Sheet 11 found in Work & Play 12 Downlaod Collection Big Kahuna Bundle or Science/Math/Teacher/Professor/Geek/Student/Chemistry Bundle Kit. More info and a demo of the spinner at my site! 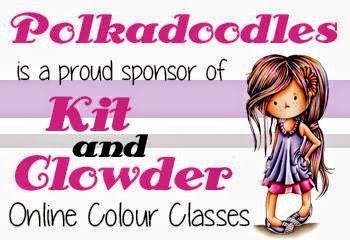 Julie - I have chosen to use design sheet No 6 from Winnie in Wonderland for my Bonkers and colourful card. Petra This time I've made a birthday card using Helga Design Sheet 5 and added only some pearls and shimmer. Anjie - I chose one from the adorable Winston collection. 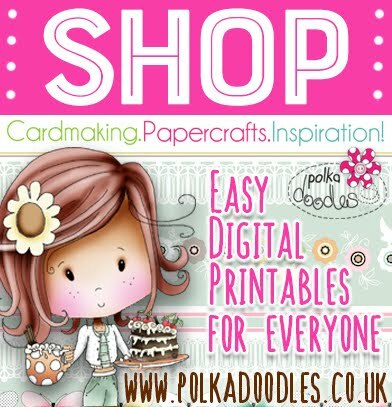 I've used a cream card blank and printed the design sheet onto cream paper to give it a different look. I've added some faux stitching around the edges of the card which I love to do but this time it fits the theme perfectly! More details on my blog. 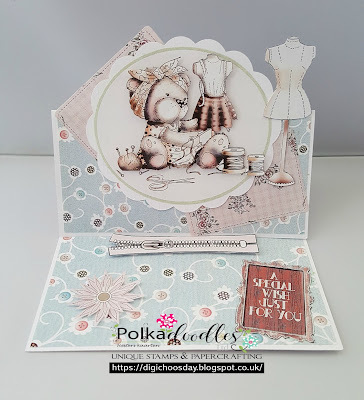 Pauline - I used the Work & Play 8 - Feel The Music collection to create a card for a boy this week. 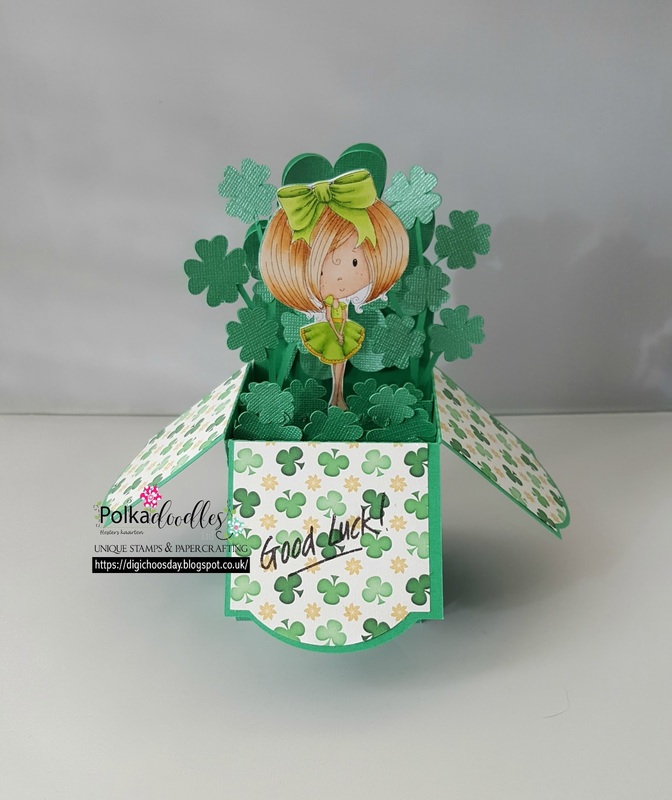 Nearly everything on my card comes from the design sheet, all I have added is an additional layer of backing paper and the stars have been fussy cut from another backing paper in the collection. 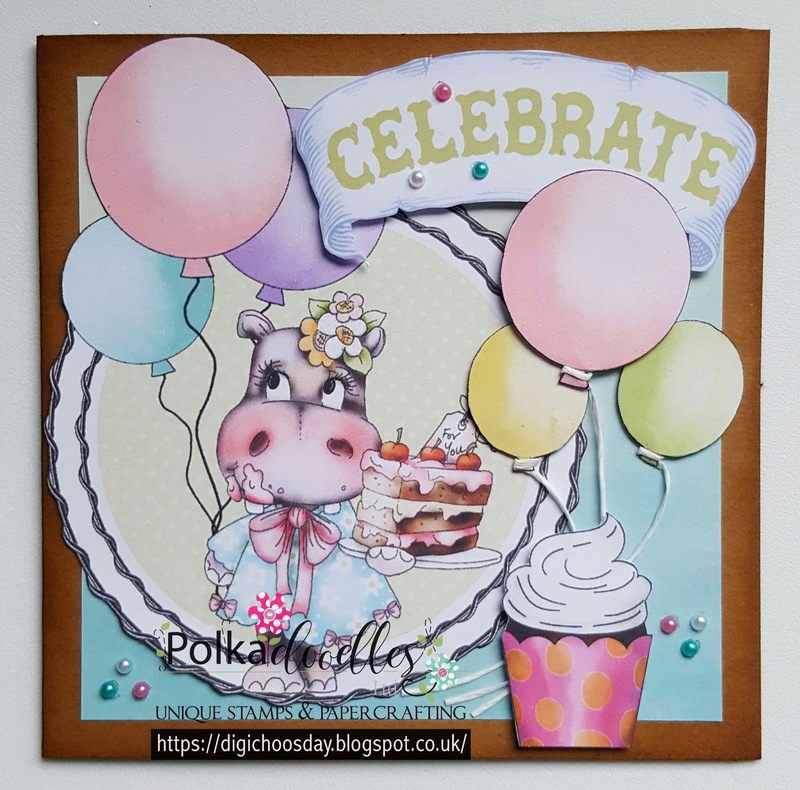 I have used the decoupage layers included on the design sheet to add some dimension to my image and fussy cut all of the elements and a sentiment. Please email us Here quoting DCW130001 to claim your prize of 3 digi images from the digi store! Don't forget it's Mother's Day on Sunday here in the UK, we have lots and lots of stunning images which are perfect for the occasion! 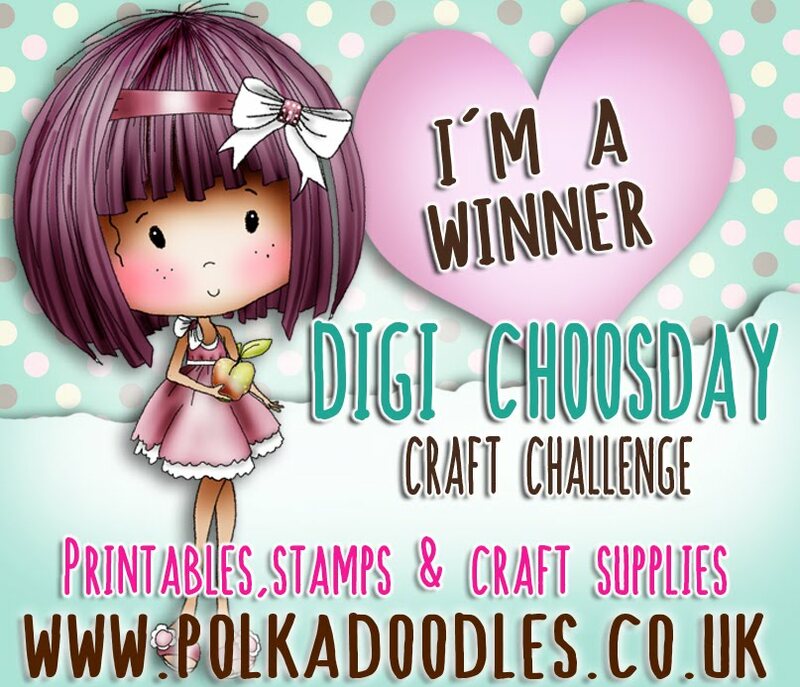 PRIZES: The random winner (chosen by Random.org) will receive a voucher for 3 digi downloads of your choice from the digi store! Petra I wanted to make a house for a long time now, but didn't make one. 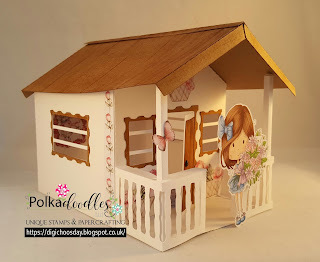 Now I thought that it was about time to try one, so I used my Silhouette Cameo to make the house. 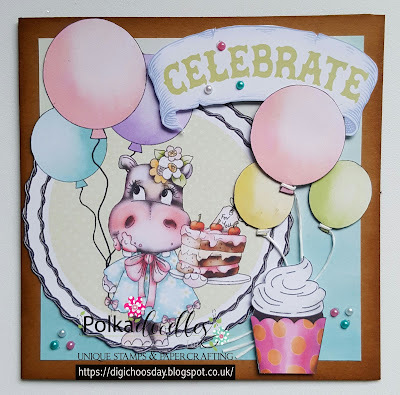 I coloured Winnie Sugar Sprinkles - just for you with my Copics and decorated the house with Helga Hippo Design Sheet 11 and Helga Hippo Design Sheet 2. Andrea - This is my Heart Shape Treat Box for Mothers' Day - I have used the Eden Collection of Lettering, flowers and a sweet image which I have hand coloured. 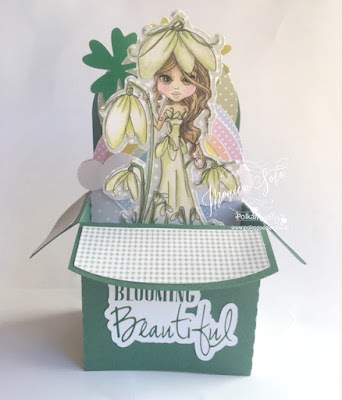 Jane P-This week I made a gift bag from the Bella Fleur paper kit. More details on my blog. 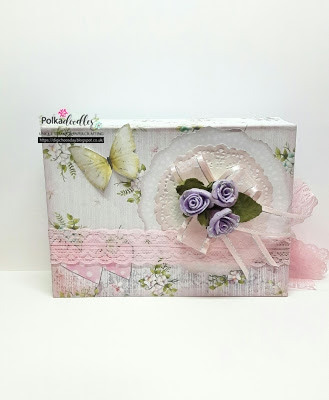 Jane S - For a Mother's Day gift I decorated a little birdcage with gorgeous elements for the Lavender Tea Collection and the fabulous and must-have Super Sprigs dies. Yvonne - Hello this week I made a tag, I opted to use 'The Darling Buds' which you can find here. 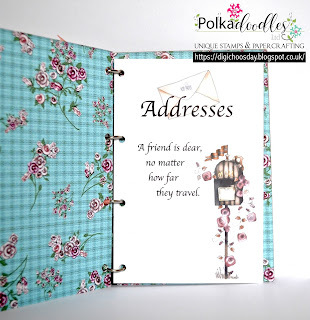 I opted to use a nice kraft card backing with just a break of paper, which is from the 'Work & Play Collection 10: Country Life' you can find it here. Snowdrop can be bought by herself and you get the coloured image too, see more, here! Katrina ~ A Mother's Day gift! 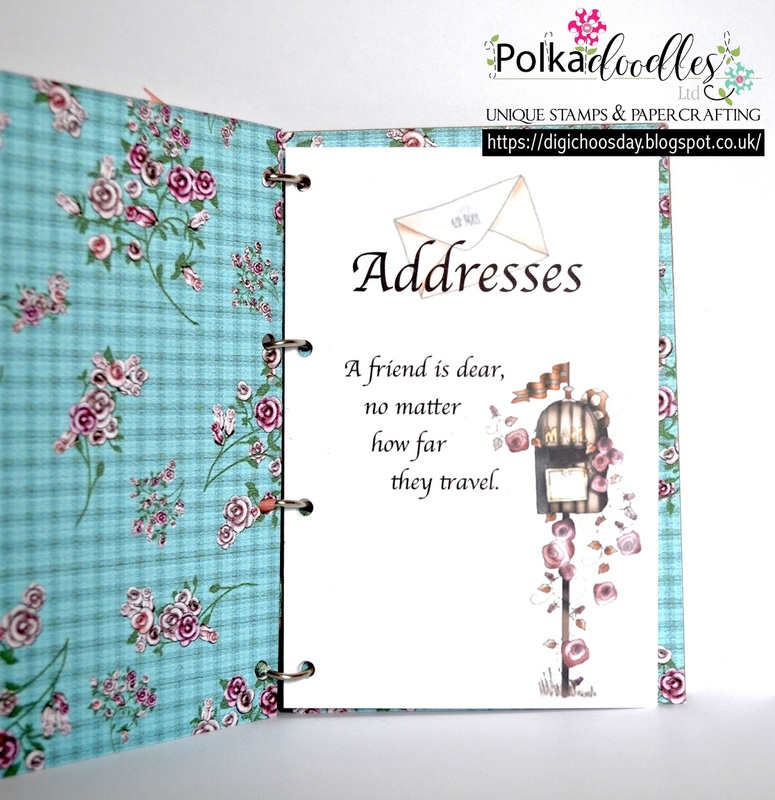 This little address book features two papers and designs from 4 different Design Sheets all found in the Winston Collection! 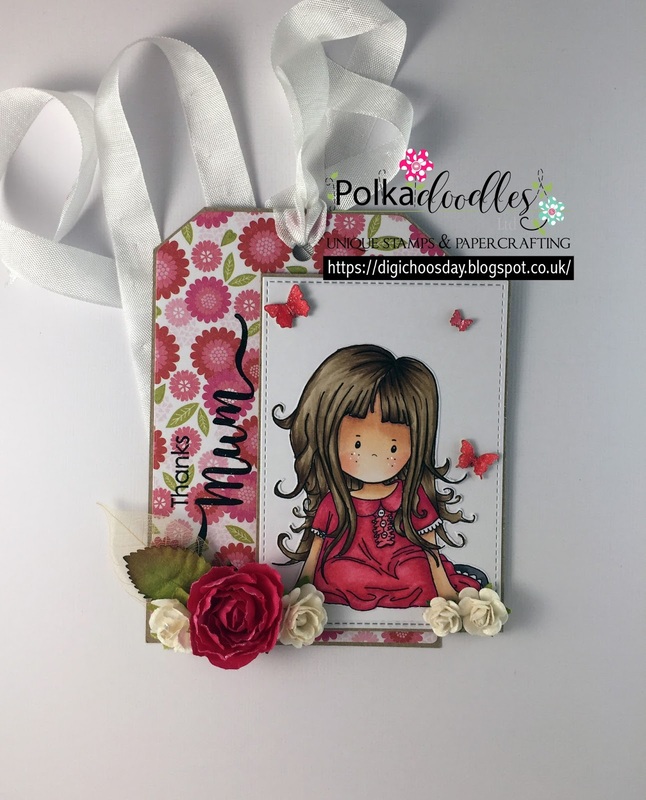 Melissa - For this weeks Mother's Day Challenge I thought I would create a tag using the beautiful 'Amelia Contemplating'. Monica - For Mother´s Day, I wanted to celebrate Mom with lots of flowers and a treat box full of chocolates. 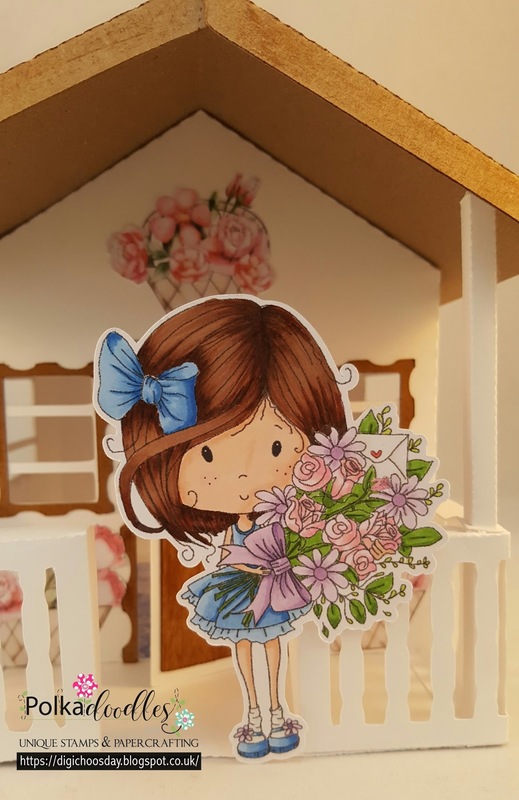 I used papers, flowers, sentiment and precoloured image from the adorable collection Winnie Sugar Sprinkles Springtime. 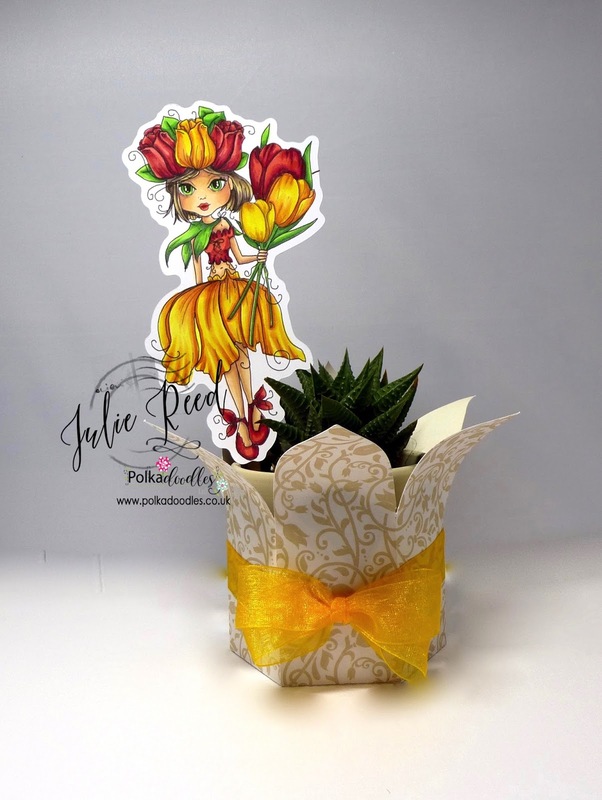 Julie - I made a little Plant holder and coloured up Tulip Darling Bud as a pot decoration, or she can be easily be removed and used as a book mark. 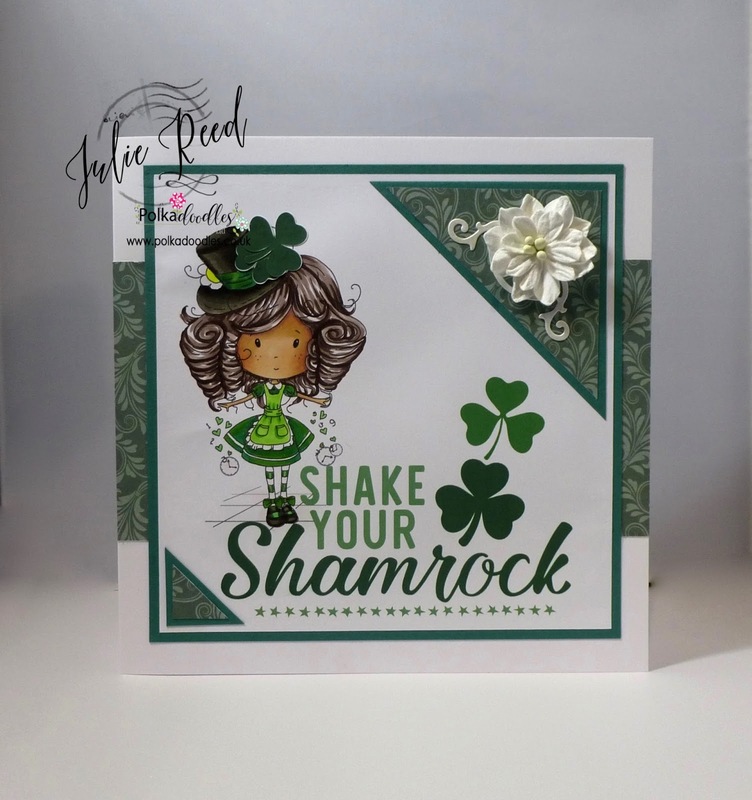 Anjie - For my make I used the Winnie Sugar Sprinkles collection, the Belle Papillon stamp set and coordinating dies and finally the Primrose digi stamp. It is a standing wooden plaque. All the info on how I made it and more photos are on my blog. Dawn - I made a basket using Helga Hippo Sitting Pretty image and a sentiment from Winnie Sugar Sprinkles Springtime. 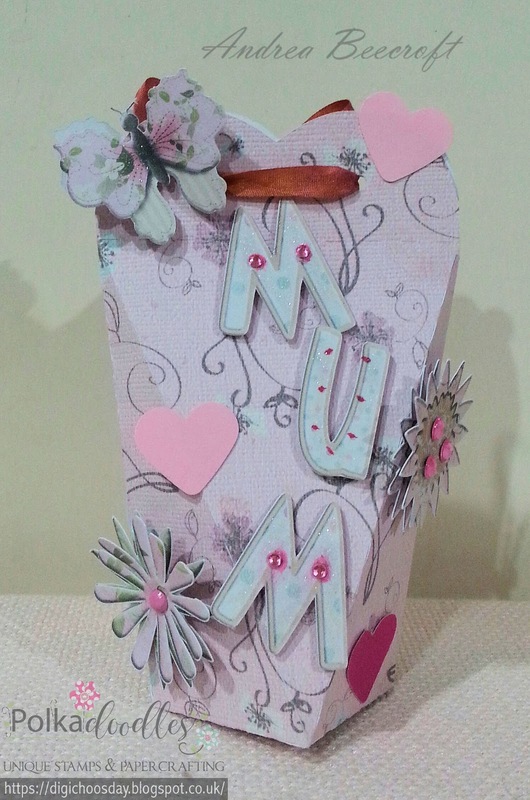 Pauline - I decided to decorate an MDF Heart to create a Mother's Day gift. 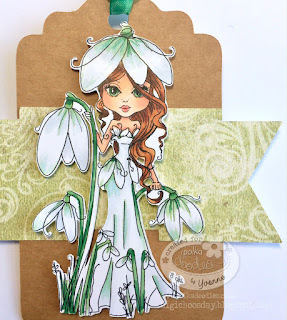 I used papers, flowers and butterflies from the Helga Hippo Collection - I did lots of fussy cutting and layering for dimension, each flower is made up of three layers. Please email us HERE quoting DCW120001 to claim your prize of 3 digi images from the digi store! Have you seen our beautiful new release? 10 Beautiful Spring Flower digis for you either as single downloads or a value bundle and FREE matching sentiments to co-ordinate too! 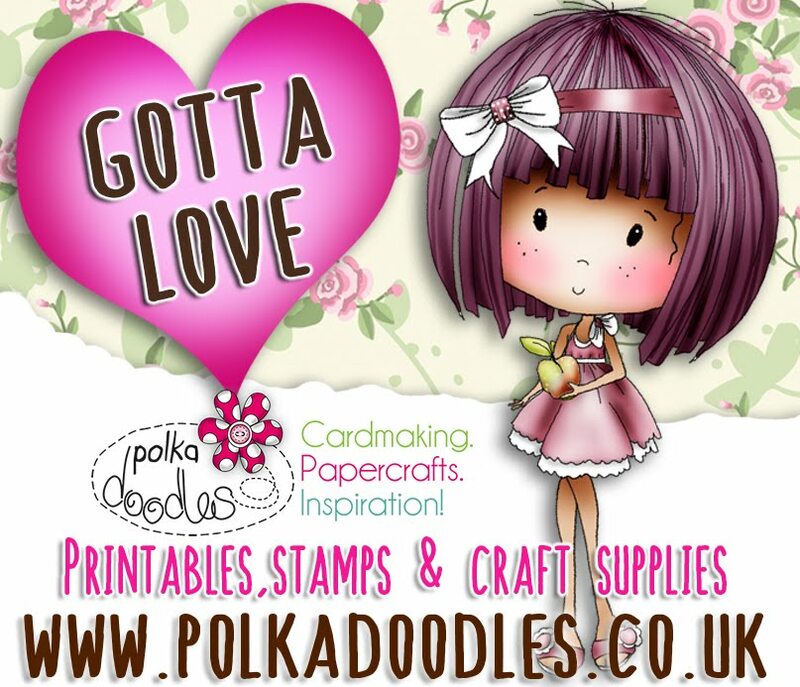 We're delighted to welcome Andrea who has joined us on our DT, we're thrilled to have such great creative talent with us!.. 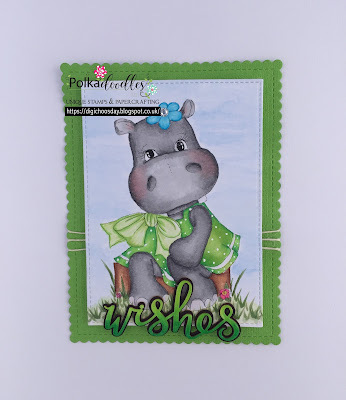 Andrea : - Here is my card for our Green Challenge St. Patrick's Day - I have made a Waterfall Card using lots of green colour, cardstock, Polkadoodle paper, and Helga Hippopotamus coloured print images. Jane P.- I just love green, so I really enjoyed making this weeks card using the Embarrassing Moments image from the Old Bag collection. 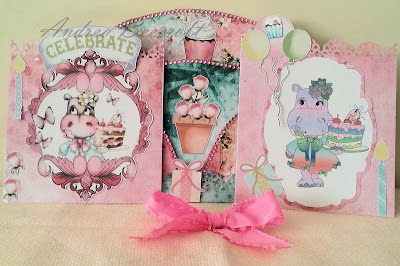 Was able to intergrate a few of our lovely dies. More details on my blog. 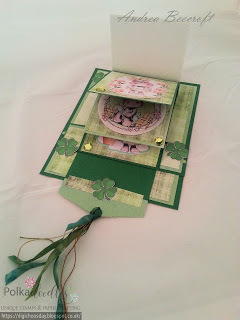 Jane S - I have turned the beautiful Primrose from the fab new Darling Buds Collection into Shamrock/4 Leaf Clover!! The sentiment is from Belle Papillon. Anjie - I used an army topper from the Work and Play 2 collection I printed the topper twice so I could decoupage the truck, and matched some papers from the collection to the image. More info on my blog. Melissa - I just couldn't resist Helga Sitting Pretty. She has been coloured with Copic Markers. 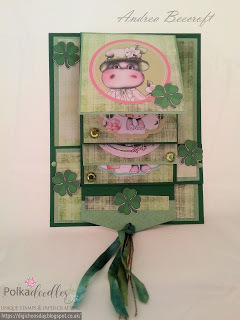 Julie - So this week we were challenged to use lots of green as St Patricks Day is this week. I chose an image from Winnie Wonderland and turned her into a little Leprechaun. Monica - For this "use lot´s of greens" challenge, I choose to work with Snowdrop Darling Bud, from the gorgeous Darling Buds collection. 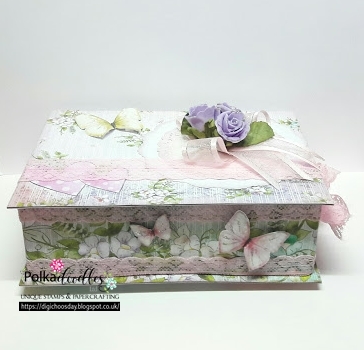 The sentiment is also from this collection and papers are from Cherryblossom Lane . 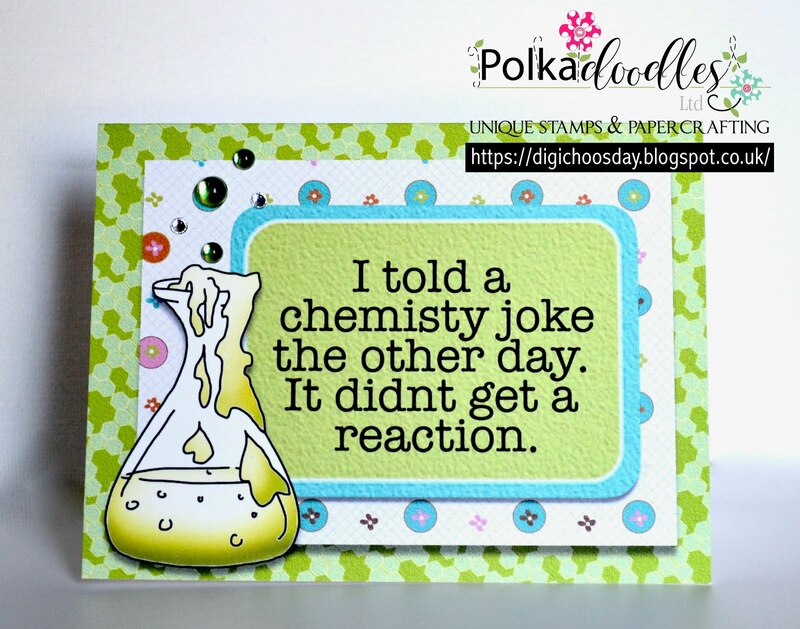 Katrina ~ I'm sure you'll have a positive reaction when you see the fun sentiments, papers, embellishments, etc in the Science/Math/Teacher/Professor/Geek/Student Bundle! Yvonne - Hello! This week I decided to go back to one of my most favourite collections - Serenity. 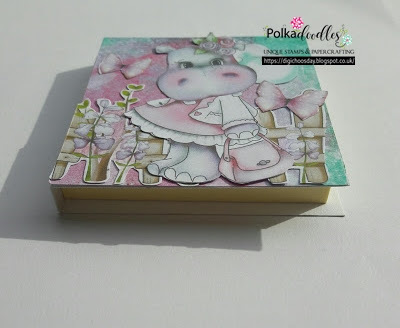 I ADORE this collection and the image I used this week is 'Serenity Princess'. You can find her here as a download collection or as a single image or as a CD. 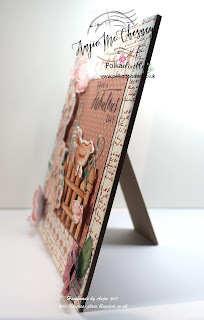 The top paper that Serenity is on is from the Serenity collection. The bottom paper is from 'Work & Play Collection: Country Life' which you can find here. 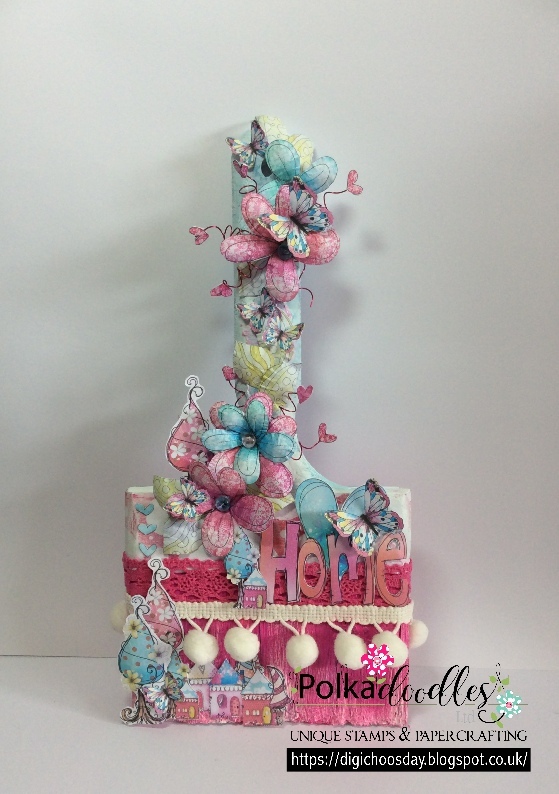 The sentiment is from the new 'Darling Buds Collection' which can be found here. Petra. For my card this week I used the daffodil darling bud, isn't se just super pretty?! I coloured her with my Copic markers. 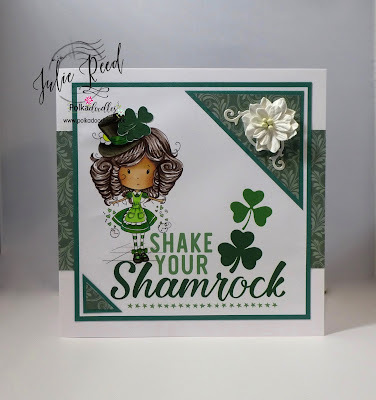 For the background I used digital paper from the Winnie Starfish/Sandcastle papers 9 and stamped little flowers on it to give it something extra. Dawn - I just couldn't resist Winnie Sugar Sprinkles Springtime - Just For You. She has been coloured with Copic Markers. 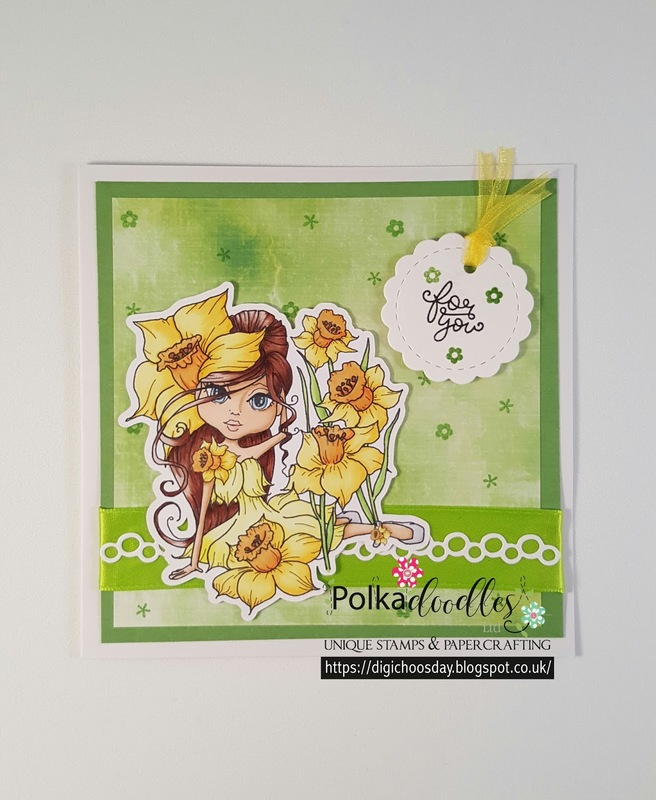 Pauline - I decided to create a pretty spring card for this weeks challenge. I used the beautiful Snowdrop from the Darling Buds Collection and teamed her up with some papers from the Work and Play 10 Country Life Collection. 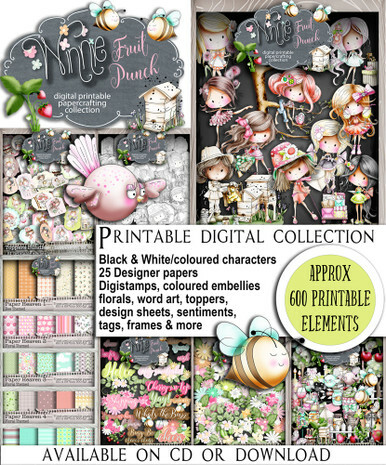 The sentiment is part of the Darling Buds Big Bundle.